Having been beaten by Crewe last Saturday, a result which cost us the leadership of the U18 Professional Development League, we are now set to play against Leeds United who are one of the two teams who went above us last week on goal difference. It’s the return fixture at Thorp Arch with the young Clarets looking to do the league double against the Championship club’s youth team. We beat them 2-1 back in November with goals from Terry Mupariwa (pictured) and a Mitchell George penalty. 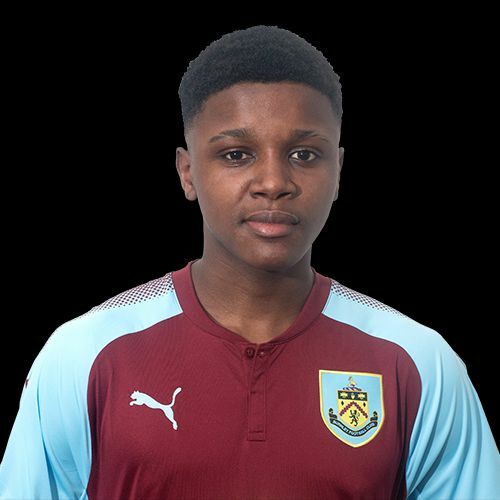 Both teams made a number of changes for the game given that we were meeting again two days later at Turf Moor in the FA Youth Cup with us winning again; this one was 1-0 with a late goal from Jordan Cropper. The league win was the third in a run of five successive wins that came to an end with the 2-2 draw at Huddersfield two weeks ago, so we’ll certainly be looking to get back to winning ways; our last victory was on 20th January when a stoppage time goal from Lewis King gave us a 4-3 win against Birmingham. Leeds go into the game having won both of their last two games. They beat Birmingham 2-1 at home two weeks ago and last week won 2-0 at Barnsley. Their goal difference is significantly better than ours so it would take a win to move ahead of them although we do have a game in hand over them. Kick off tomorrow at Thorp Arch is 11 a.m.